Fennesz Refines His Alluring Digital Symphonies On The Minimalist 'Agora' The Austrian electronic-music pioneer uses his laptop to splice, sample and otherwise subvert the sound of his guitar and field recordings, in the process forming crackling electric symphonies. 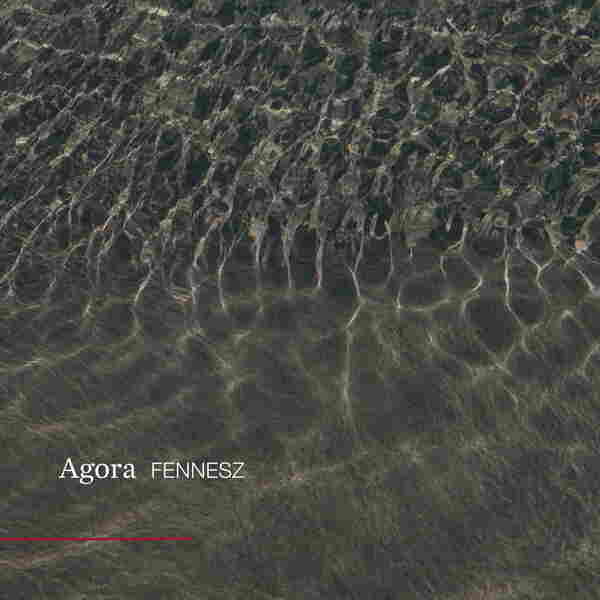 Fennesz's Agora is due out March 29 on Touch. Even if you've never heard the name of Austrian electronic-music pioneer Christian Fennesz, you've likely heard the effect of the work he's been releasing for two decades under his striking surname. An early advocate for using a laptop to splice, sample and otherwise subvert the sound of his guitar and field recordings — in the process forming crackling electric symphonies — Fennesz has long explored the shapes and colors taken on by clouds of static. On 2008's Black Sea, shards of noise culminated in a crescendo as sun-streaked as the most radiant orchestral fanfare; on his early landmark, 2001's Endless Summer, ravaged guitar chords funneled the chimes of a miniature gamelan ensemble into a chorus that felt like a surrealist hit. Despite its core of accessible allure, though, Fennesz's music remains somewhat esoteric, stuck between stations of electronic bombast and pop approachability. But his animating ideas — of sounds beautifully dissolving into the ether, like soft metals dropped into a vat of strong acid, only to resurface against all odds — have trickled toward the mainstream as if through a years-long game of telephone. That's a trace of Fennesz you hear in the delicate architecture of Bon Iver's 22, A Million, in the work of other Kanye West collaborators and acolytes, and even on Ariana Grande's thank u, next. The work of experimental artists drifting toward the charts is not a phenomenon limited to Fennesz, of course. But his case remains peculiar because he's the inarguable master of this strategy — that is, of damaging a signal not only until it's destroyed, but until it sparkles anew. On Agora, Fennesz's first album in four years — and perhaps his best and most resonant since Endless Summer -- he again finds harmony in hellish tones and exudes warmth by rubbing together cold sounds like kindling in a frigid clime. At a glance, Agora may seem slight, with only four tracks that each break the 10-minute mark. If not necessarily longer, his prior records sport at least twice the cuts, meaning there's more sense of motion and transition during a similar span. But Agora is uncommonly generous, as each extended piece establishes and steadily works through its own sophisticated mood. Listening suggests shuffling from screen to screen in some aging arthouse, with a different compelling short film playing in every room. Each feeling is deep, each scene rich; by Agora's end, when the jeweled synthesizers of "We Trigger the Sun" finally vanish at the horizon, it seems as if listeners have accompanied Fennesz on a particularly emotional odyssey. These pieces are as open to interpretation as the underlying instruments that shape them. There's the constantly cycling rhythm of "In My Room," which spins with the weight of a canyon-sized washing machine. Thin, threatening fins of irradiated synths slice through the beat, countered by organ chords as gentle as deep breaths. A flash flood of sculpted noise eventually washes over everything, but its tone is somehow comforting, as if offering assurances of rebirth even as it obliterates. These 12 minutes feel like taking the time to watch a beautiful sunrise during a family emergency — or, just as easily, dreading the end of some blissful moment while it's still happening. And, with its slowly unfurling drone and wind-like whispers of distortion, does the title track score a haunted nightmare or a perfect dream? 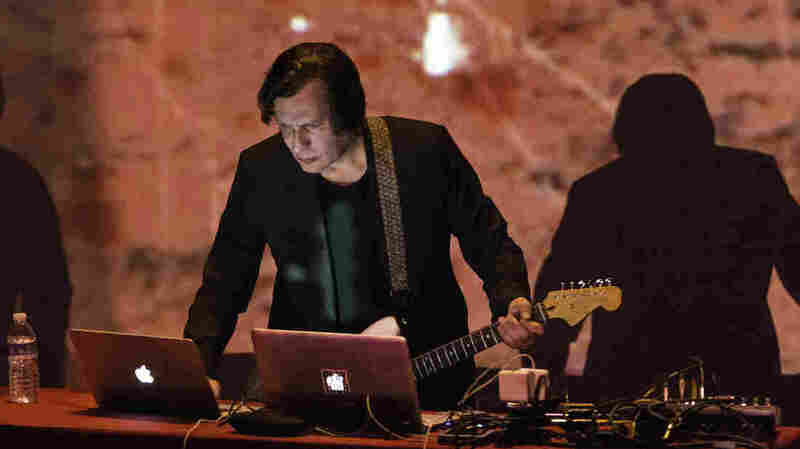 After briefly losing his studio, Fennesz recorded Agora in a bedroom in his apartment, jettisoning all the lavish equipment at his disposal for a simple setup of headphones and computer. You can trace that interior quality here; the sense that Fennesz is working through feelings and ideas in a fevered, extended monologue. "We Trigger the Sun" frames a real-time document of that process, with gently arcing guitar chords and intensely curdled electronics that push and pull against one another above the languid heartbeat of a tom-tom. Every time the track inches toward resolution, Fennesz plunges again into another strata of doubt, the sounds locked in perpetual conflict. It's a very 2019 sort of unease — timely in its deliberation between wrong and right, fact and fiction, comfort and despair. Given how Fennesz's aesthetic has infiltrated more popular circles, it's easy to imagine him clamoring for big-name collaborations, aiming to apply his touch to records by the famous people he's influenced. But he seems content to respond to the world from a safe distance and in due time. He stakes out his continued relevance not through features, but by wordlessly articulating our collective tension and uncertainty. True to its name, the private conversations of Agora are his public reckonings.